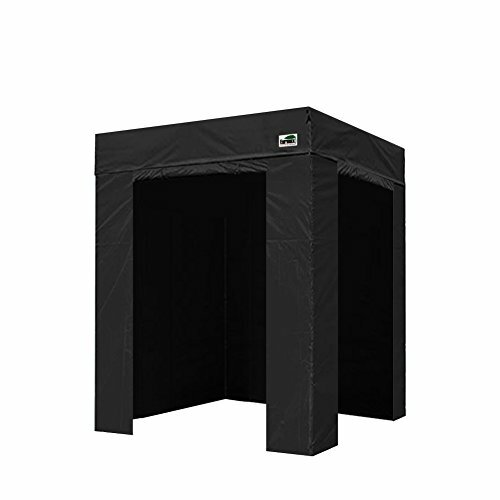 This Flat 5 x 5 photo booth is a solid built canopy that you need for farmers market, sporting events, flea markets, trade shows, backyard events in small spaces. The 5 x 5 canopy tent comes with 4 removable sidewalls are made of 100% polyester fabric and offering more protection and privacy under the canopy. All sidewalls are fire and water retardant that meets safety standards. We stock accessories and parts for your life time. We receive many many emails every year from frustrated people who simply require a spare joint, pole or side panel for a canopy tent which they have purchased elsewhere. However, if you have purchased a Eurmax canopy tent, you can simply order any spare parts online.